Exceptional water quality is something we take seriously here at Elite Pools. Saltwater pools are favored for their simple and gentle approach to pool care, but they do have some unique needs compared to traditional chlorine pools. That’s why we offer the best salt chlorinators on the market, in addition to mineral water enhancing products to complement and properly balance water all season long. 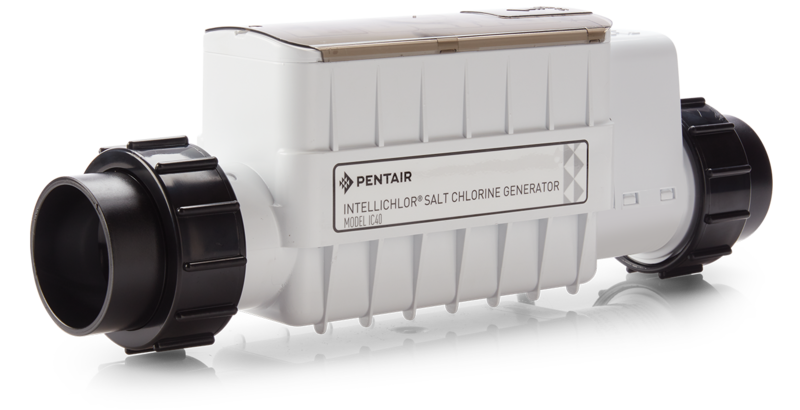 Salt chlorinators work through the process of electrolysis in the presence of dissolved salt to produce Liquid Chlorine. It’s an extremely simple process. Once the mineral is added to the pool, it stays there until it’s diluted by rain water or washed out. Set the percentage output on the generator for your size pool, and that’s it. When it is time to shock the pool, press the Super Chlorinate button, and 12-24 hours later, it’s done. The most important thing to remember about a Salt Water System is that it is not a “set it and forget it” device. Your water will likely appear completely clear, but this is because it’s extremely easy to over chlorinate when it is not set correctly. Over chlorinated water can lead to itchy skin and watery eyes. 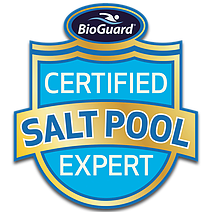 IntelliChlor is a great option for pool owners because it safely and effectively turns regular table salt into chlorine. There’s no need to buy or store harsh chemicals that are typically added to chlorine. Even better, IntelliChlor offers full diagnostic capabilities through easy-to-use controls and displays. Checking salt levels, cell cleanliness and sanitizer output has never been easier. IntelliChlor also communicates with a variety of automated control systems. Let’s face it, who wants to try to be a chemist during their off time? Allow Elite Pools to put our knowledge and expertise in Salt Water Systems to work, so you don’t have to. Our Minerals Springs from Bioguard is the simplest way to keep your salt water pool clear and balanced. Check out our video for more information about Mineral Springs.